I don’t think anybody could miss the shocking announcement this week that we have a ‘climate catastrophe’ on our hands. An intergovernmental report found that global warming is progressing at a much faster rate than previously thought and the world is now off track. This means that urgent changes need to be made to the way we live as a world, and as individuals. Every industry has a responsibility to reduce its impact on the environment, although the IPCC report focused mostly on carbon emissions, there are many ways companies can reduce their impact on the environment. Below are 5 ways the food industry can improve and some companies who are doing things right and leading the way in saving the planet! 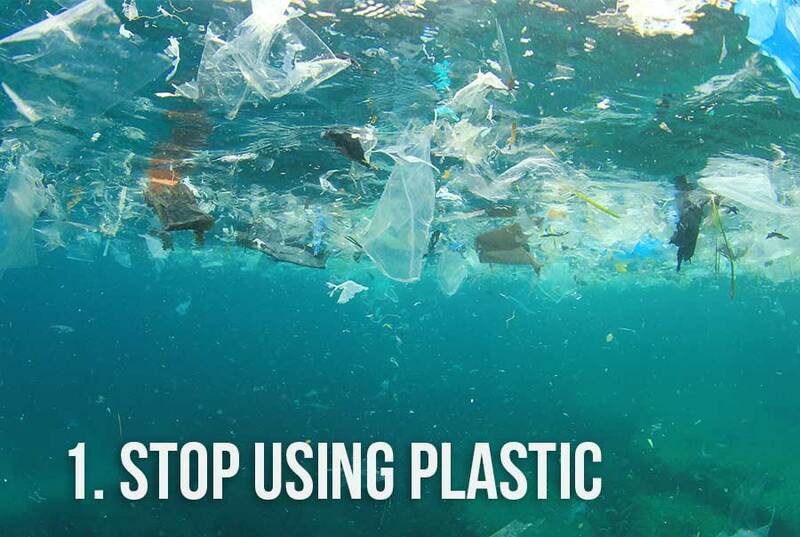 Blue planet was the moment for a lot of individuals realisation that the world needs to reduce the amount of plastic used. At least 8million tonnes of plastic is dumped in the ocean every year and the ocean is now expected to contain more plastic that fish by 2050. Ingesting plastic has life threatening effects on wildlife, and this plastic will eventually end up being digested by humans. On average, Europeans consume up to 11,000 microplastics per year through the fish they eat. Just 14% of plastic packaging used globally is recycled, this means the rest is thrown in landfills or the ocean where it won’t degrade for many years. 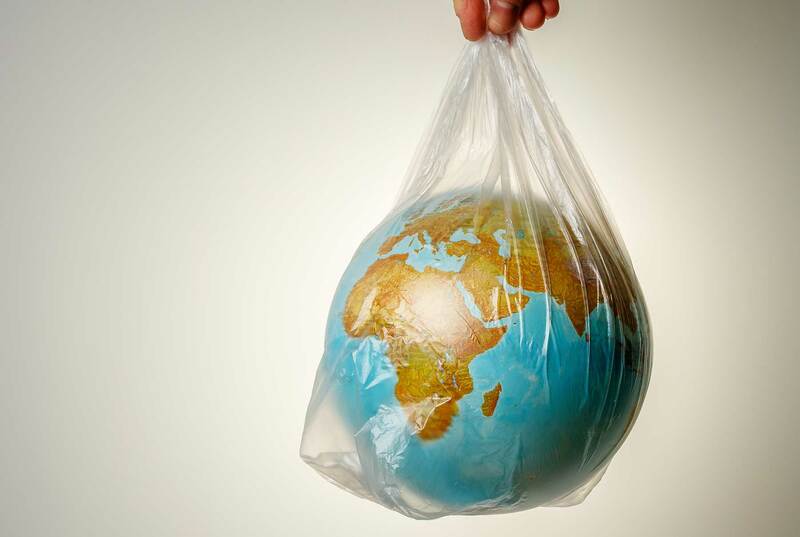 Disposing of plastic is not the only problem, a large amount of harmful emissions are a bi-product of plastic production, including greenhouse gasses, which is why it’s not only important to recycle plastic but also find alternatives to the material. Food waste doesn’t seem like it would be that big of a problem when it comes to global warming. However, if food waste were its own country it would be the third largest greenhouse emitter, after only china and the US. 30-40% of the food produced in the world is never eaten, one of the main reasons is due to increasingly high specifications for products, meaning that if any food item, even a slightly misshaped carrot, doesn’t meet specs, will be sent to landfill. A report has found that 320m perfectly edible meals are thrown away by British food establishments every year, costing businesses 2.5m a week! So, waste reduction would not only save the environment but also companies money. • Winnow, a tech start-up, weighs food waste in restaurants and then asses the value of what is being dumped, both in terms of cost and environmental impact. 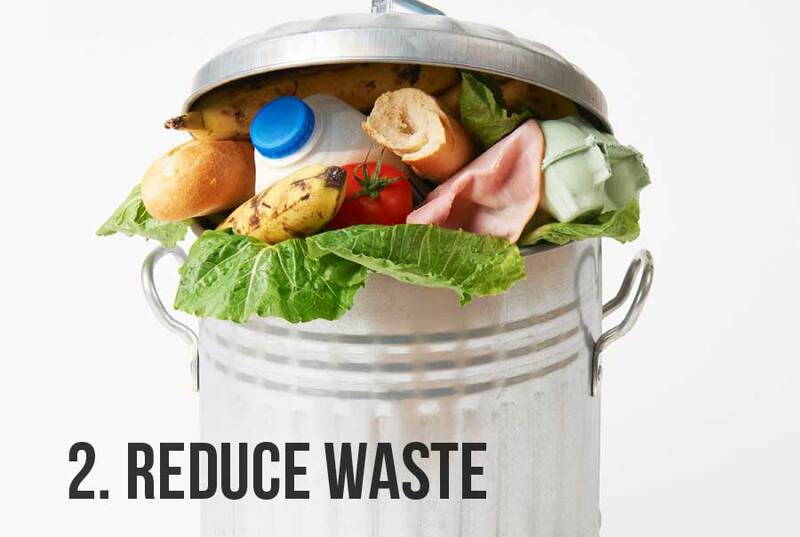 Kitchens can then use this information to cut food waste between 40-70% as they can see which foods they throw away the most and therefore what they need to cut from the menu. • Fullers ensure that all their ingredients are traceable and are sourced locally. 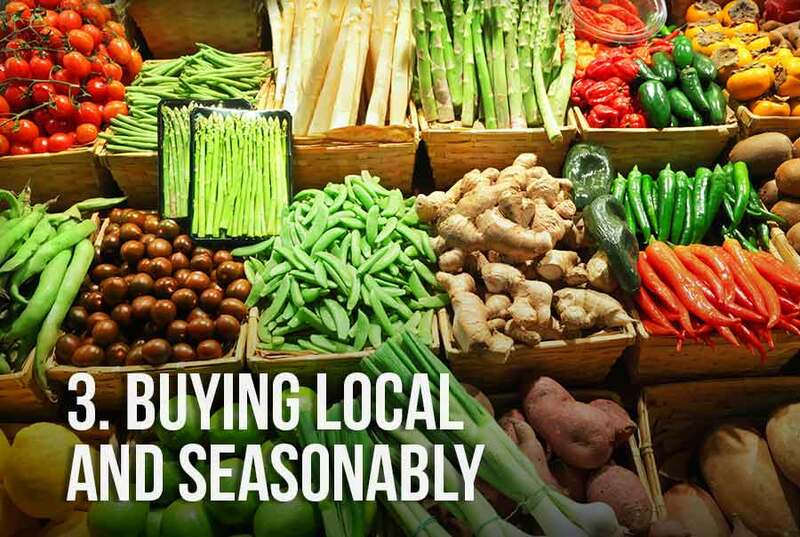 They believe that locally grown food is fresher and tastes better. They also do everything they can to make sure their food is in season with pub and restaurant menus changing to incorporate the freshest, local ingredients. 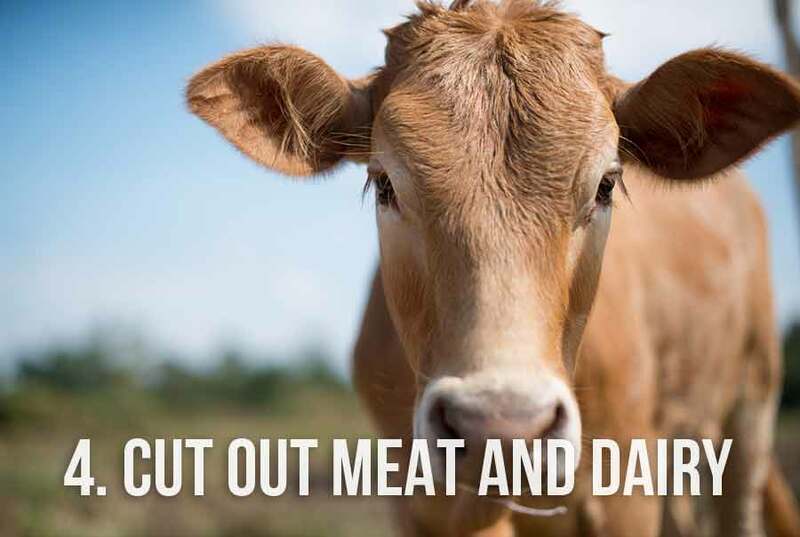 Avoiding meat and dairy is the single biggest way for an individual to reduce their impact on the earth. That is quite the statement and it seems to be impacting many consumers actions with increasing numbers of individuals choosing to be Vegan. Without meat and dairy consumption, global farmland could be reduced by 75%, that’s equivalent to the size of the US. A vegan diet would not only reduce greenhouse gasses, but also reduce land and water use, all of which are hugely damaging to the planet. • Ben & Jerrys have developed a range of vegan (dairy free) Ice cream which sits as an alternative alongside its original flavours. New technologies have been developed which allow humans to remove fish from the ocean at a huge scale in order to supply the growing population with fish. However, this has a huge impact on the environment. Some species have been overfished to a point where they are near extinction, a common example of this being Cod. Fishing also leads to habitat destruction; dredging decreases water quality, seafloor trawling destroys corals and oyster reefs, blast fishing, where dynamite is used to catch fish is lucrative for the fishermen but destroys coral reefs. 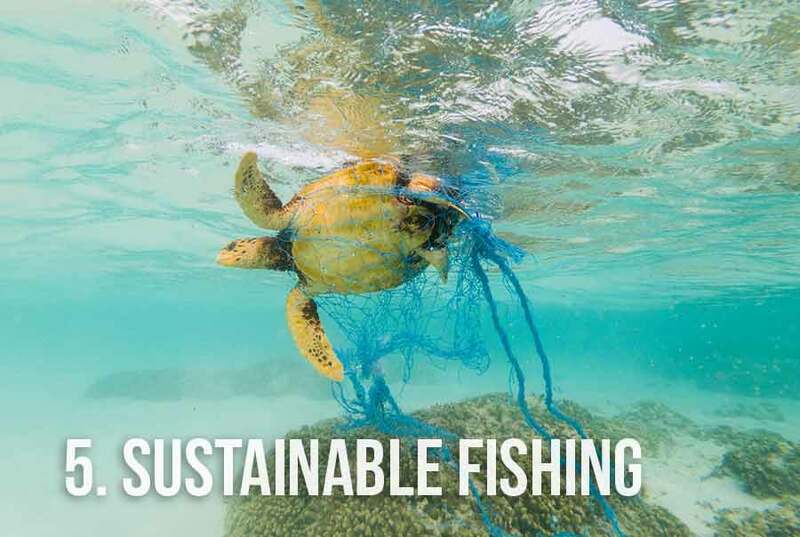 Discarded fishing gear such as nets cause a phenomenon known as ‘ghost fishing’ which is both wasteful and destructive. Damaging these eco-systems has a huge impact on water quality and may lead to the extinction of many different species of marine life. Not to mention oil leaks, largely caused by fishing boats which destroy areas of the ocean and pollute the water, therefore having a huge impact on the environment! • Hook is a fish and chip restaurant located in Camden who sell fish and chips made from the finest, most sustainable ingredients. They only work with small and local fisheries, cutting down their carbon emissions too! • Aldi has been named the best British supermarket for sustainable fish, with Sainsburys coming a close second. Let’s hope that many more in the industry begin to realise the impact they are having on the environment and take some steps to help save the planet. We don’t have long to make a change so it’s important for Governments, industries and individuals to act now!